It’s that time of year again where holiday shoppers rush to get the season’s best deals for all their shopping needs. With Black Friday approaching, many retailers strive to get out the best bargain for their customers. This year the gaming industry has upped the ante with some incredible deals for all those midnight and online warriors. GameStop released their Black Friday ad today and will open their doors this Friday at 12:01 a.m. local time. For individuals who do not want to wait in long lines or pull all-nighters are encouraged to purchase their items online with free shipping available on all purchases. Their sales extend from accessories to game consoles. Xbox One, Assassins Creed bundle will be discounted at $70 off, which includes digital copies of Assassins Creed: Unity and Blackflag. Prices listed for the console, discount included are $349 and $499 with the Kinect. Select PS 4 and Xbox One games will be available at $30 and up. All pre-owned game consoles will also be discounted at $30 off retail price. While some sales last through December 1st, many items will be discounted through this week. For more information on GameStop’s Black Friday deals, please visit their website. The PlayStation Network is also participating in the Black Friday madness. The deals are available to consoles ranging from PS3 to PS Vita. Sales are mostly aimed toward co-op and online games so that you can include your loved ones in on the action. When you spend over $100 from your SEN wallet, you receive $15 credit that will allow you to purchase anything from the PlayStation Network. The sale starts today and ends December 2nd. For a full list of the discounted co-op games please visit PS blog. Xbox Live is also offering some great deals on their products. Shoppers planning to by next gen, Xbox One consoles will get $70 off with one free game. Special edition Xbox One Call of Duty: Advanced Warfare will be available at $429 with 1 terabyte of memory. Digital games such as Diablo III and Assassins Creed: Black Flag will start at $34.99. Select Xbox One games are on sale starting at $14.99. Wireless Xbox One controllers will start off at $39.99. For Xbox 360 you can save $50 off retail price. Wal-Mart will be selling Xbox 360’s for $99, console only. Xbox 360 Call of Duty bundle pack will be available at $199. If your Xbox Live membership is about to expire you can save $10 on a 12 month gold membership or save 50% on 3 month membership. For a complete list of all discounted items, please visit the Xbox website. 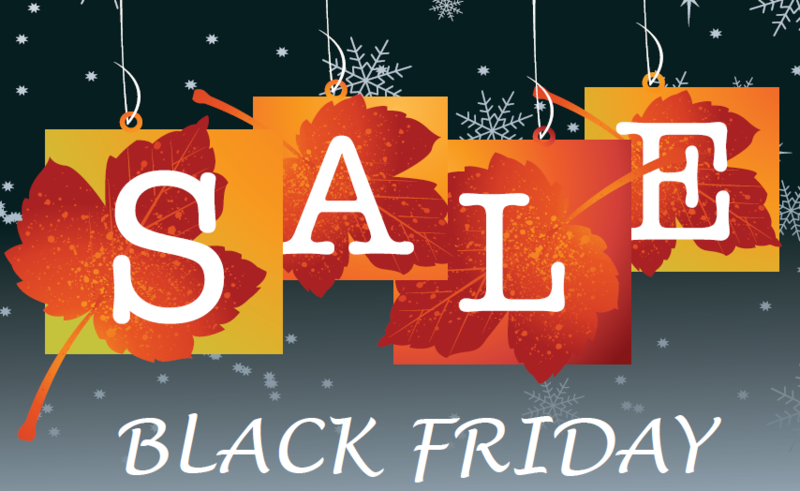 Black Friday is a good time to get great gifts at discounted prices. Have a Happy Thanksgiving and safe travels.